Here’s chocolate pudding that’s so good for you, you can totally have it even if you don’t eat your meat! Indeed, this Chocolate Coconut Chia Pudding is made with nothing but wholesome, nutritious ingredients. A dessert you can eat without feeling even one once of guilt! Well, forget all about that! This pudding right here, you can totally have regardless of what you have — or haven’t — eaten prior! In fact, it’s a nutrition powerhouse disguised as dessert: we’re talking avocado, coconut, cacao powder, chia seeds, dates… all things that are super good for you! But don’t go thinking that it tastes like bird or rabbit food, though. In fact, this stuff tastes even better than the “just-add-milk-instant-powdered-stuff” and has a far superior texture, too! It’s silky, velvety, soft but somewhat firm, almost like a mousse, but without being too airy, either. It’s perfect in every possible way! Try it once, you’ll be hooked for life! 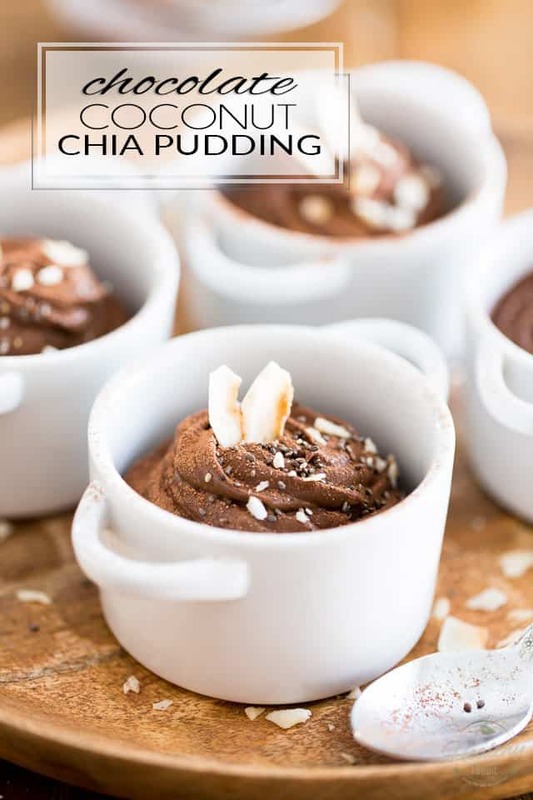 The post Chocolate Coconut Chia Pudding appeared first on The Healthy Foodie. 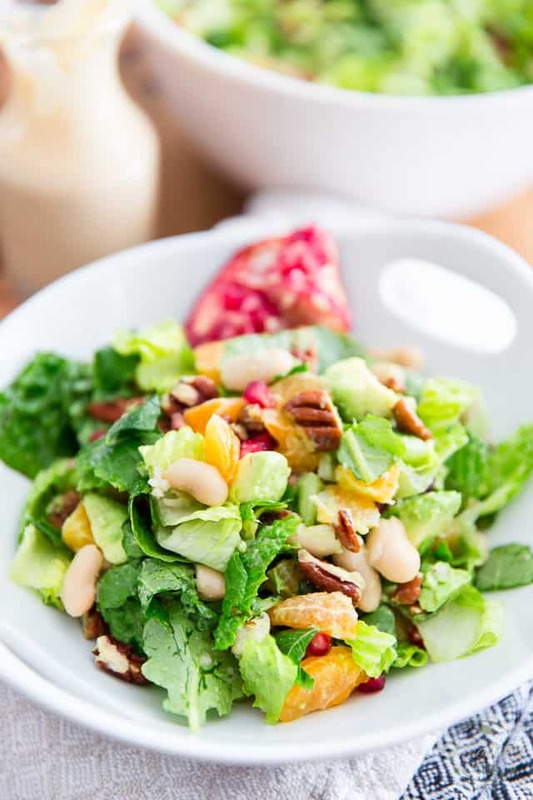 Loaded with nothing but good for you, wholesome ingredients, this White Bean Pomegranate Salad with Tangy Mustard Dressing is so delectable, you won’t want to stop eating it! Well, that’s it: I’m taking the plunge! At the beginning of this year, I’ve made a commitment to myself, which I am now making official by telling you all: I’ve finally decided to drastically reduce my consumption of meat and other animal products and transition to a plant-based diet. This may sound kinda weird, coming from the mouth of someone who just only a few years ago, was signing high and loud the praises of the paleo diet! Oh well. Only fools never change their mind, they say. Right? Right. And if that’s true, then I must be a crazy wise woman, cuz my mind, I must’ve changed like a million times since I started this quest to a healthier me. My reasons for making the switch are extremely selfless… Of course, I care about my own health, but mostly, I care about that of our mother Earth. And I care about the animals, too. Switching to a plant-based lifestyle is the fastest, most efficient way to reduce my environmental footprint, which is something I’m really wanting to do. And also, I’m having a real hard time dealing with the thought of an animal having to suffer and ultimately give up its life in order for me to feed my body. This much has always bothered me. And recently, it started haunting me more and more. I can’t keep my hand in the sand anymore. 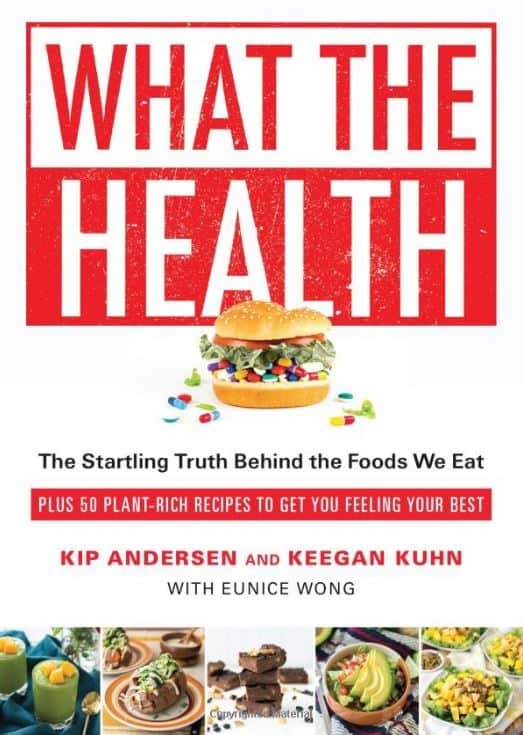 Funny enough, not long after I’d made the decision to transition to a plant-based diet, I was offered a review copy of What the Health, a book based on the ground breaking documentary which you’ve most probably heard about, if not watched already (and if you haven’t, you totally should!). Of course, I accepted it with an immense pleasure! And reading it has helped me greatly in reinforcing my decision. What the Health takes you on a science-based tour to help you better understand and see more clearly the dangers brought to our health by consuming animal products on a regular basis – and what happens when you stop and adopt a plant-based diet. This book is an urgent call to change the way we feed our bodies, while exposing the lies and deceptions used by the food industries and big corporations to confuse the public and keep the people chronically — and profitably — ill. If you’ve been hoping to change the way you eat, or even considering it, then What the Health is totally for you, and will definitely help you claim back your health and longevity. It’s even got a recipe section which offers 50 delicious plant-based recipes to help you get started and feel your best! As you probably guessed, the following salad recipe was taken straight from the book. I rarely follow a recipe to the T but this time I did, and let me tell you, it won’t be the last! This salad is so crazy delicious, I just wanted to keep on eating it. Good thing I had to share cuz I would’ve eaten the whole batch! If you want in on that, don’t miss your chance to win on your own copy of the book! Be sure to put your name in the draw at the very end of the post. 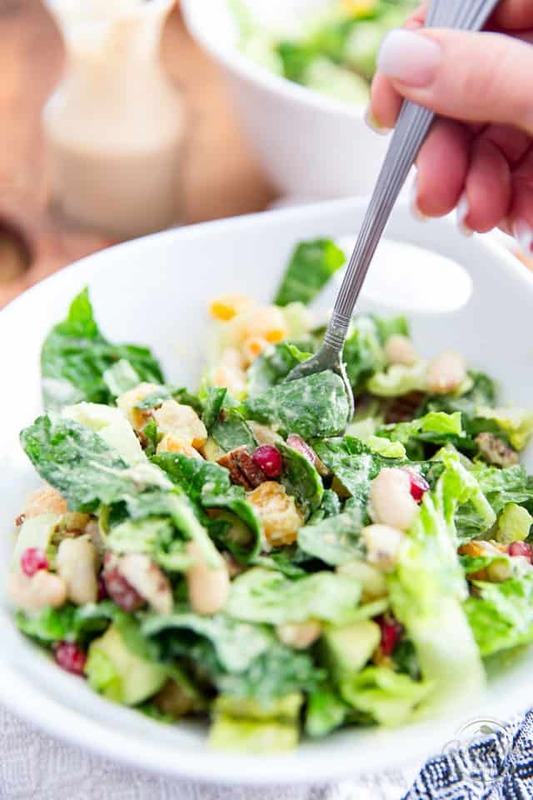 Like the majority of salad recipes, this one is pretty straight forward and easy to put together: simply combine all the ingredients for the salad in a large mixing bowl. Now to make the dressing: combine the handful of ingredients that are needed in a high-speed blender and process on high until the desired consistency is reached. 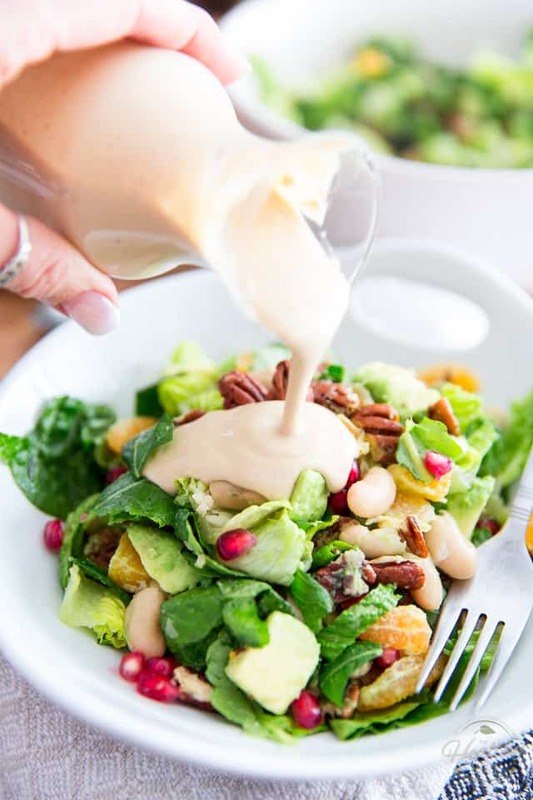 I was a bit skeptical at first that such a small handful of ingredients would turn into a truly interesting dressing, but honestly, this works! That totally makes for a super creamy and surprisingly tasty salad dressing! Man is this thing good… In fact, I strongly suggest that you make a double batch and keep some in the fridge, where it’ll stay good for up to several days. The only thing is I don’t believe you would get such good results if using a regular blender; the final product would not be nearly as smooth and creamy. 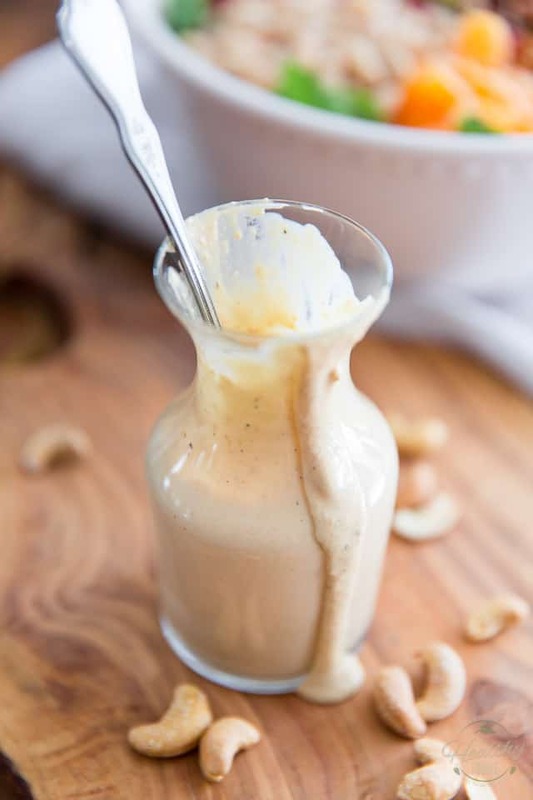 If all you had was a regular blender, consider soaking your cashews in the 1/2 cup of water for about a half hour before making the dressing. That’s it! You are now ready to serve your salad; all that’s left to do is give all those ingredients a gentle toss, to combine and distribute everything evenly. 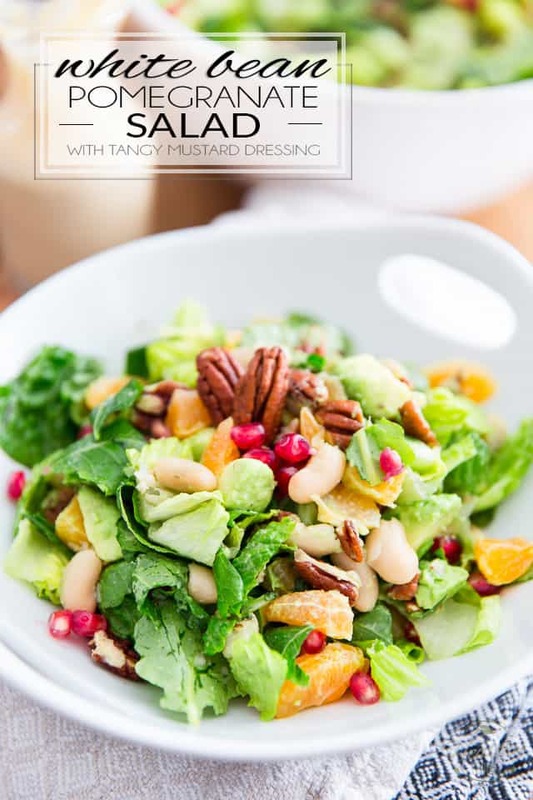 Drizzle as much or as little of that delicious creamy Tangy Mustard Dressing all over your salad… and ENJOY! And don’t forget: if you’re interested in getting your hands on your very own copy of What The Health – A book based on the groundbreaking documentary, enter your name below for your chance to win! Combine all the ingredients for the dressing in a high speed blender and process until the desired consistency is reached. 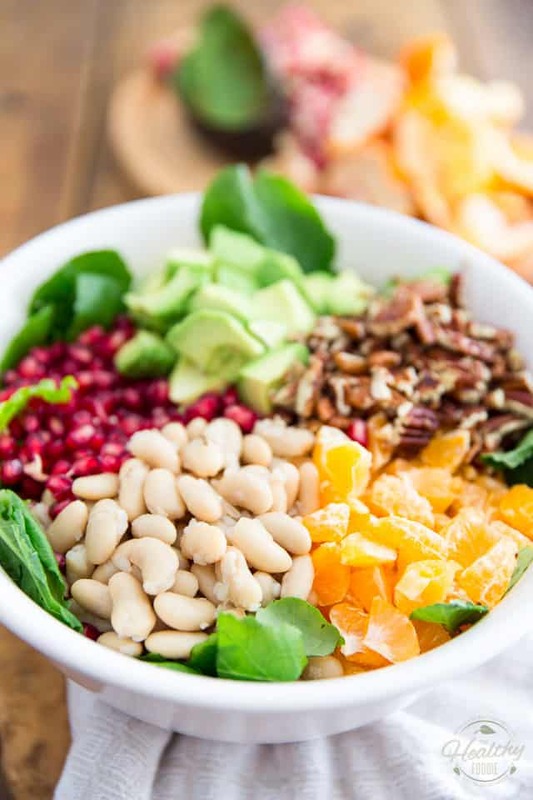 In a large bowl, combine the lettuce, tangerines, avocados, pomegranate arils, lentils, and pecans. Drizzle with the dressing to taste. 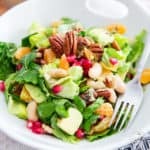 The post White Bean Pomegranate Salad with Tangy Mustard Dressing – What The Health Book Giveaway appeared first on The Healthy Foodie.